At the inaugural luncheon at NASBA’s 105th Annual meeting in Orlando, Fla., Gaylen Hansen formally accepted his role as NASBA’s Chair for 2012-13, and during an impassioned speech, shared his vision of what he hopes to accomplish while serving in this role. He identified three areas in which he wants NASBA to place greater focus. Among those areas include: leadership, engagement and service. 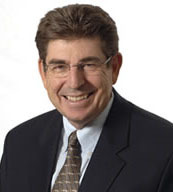 Hansen, an audit partner and Director of Quality Assurance at Ehrhardt Keefe Steiner & Hottman in Denver, CO, began discussing the leadership functions of NASBA by referring to the very heated debate about private company reporting standards that has gripped the accounting profession for many years. “I think the best recent example that we’ve seen of leadership involves the private company reporting issue, and how it was handled by our past chair, Billy Atkinson, and NASBA,” said Hansen. In 2010, a Blue Ribbon Panel was formed to address this issue, which included Atkinson. NASBA was one of three parties that sponsored the Blue Ribbon Panel. Hansen explained Atkinson and NASBA came under severe pressure and great criticism as a result of their “minority” position, but ultimately, was the position that succeeded in the end. Hansen praised the leadership qualities demonstrated by Atkinson and NASBA, and used this example as a call-to-arms for NASBA members and leaders. “CPA Mobility is a great example of the positive results that come from NASBA’s engagement with the public,” he exclaimed. Mobility has been a grand success accomplished through partnerships. Hansen continued to say he would like to work closely with Boards of Accountancy to get them all more involved with another important component of Mobility, the Accountancy Licensee Database (ALD), which is the central repository of current licensee and firm information. Currently, 38 states are live on the ALD, with implementation in progress for 14 more. He also encouraged the NASBA members to be involved in what they are passionate about. Hansen picked ethics and international standards as two areas in which he wanted to be heavily engaged during his NASBA career. Recently, he served as a panelist for the U.S. Securities and Exchange Commission’s (SEC) Roundtable on International Financial Reporting Standards in the U.S., and currently serves on the Consultative Advisory Board (CAG) to the International Ethics Standards Board for Accountants (IESBA). Hansen shared his personal story about his beginnings and early involvement with NASBA. During one of his first Colorado Board of Accountancy meetings, there was an agenda item about the NASBA Annual Meeting in Maui, Hawaii. “I had no idea what a NASBA was, but I knew what a Maui was!” Hansen joked. And since none of the senior board members were able to attend, Hansen volunteered to represent Colorado at the meeting. “There, I met some wonderful people, and started making relationships while I was there,” he remembered. During a lunch with Kathleen Smith, one of NASBA’s former Regional Directors from Nebraska, he said he remembered thinking it would be great to be more involved with NASBA, but he would probably never be asked to be a leader on the NASBA Board of Directors. Just a couple months later, he got a call from Michael Conaway, past chair of NASBA (2002-03), asking if he would have any interest in serving as the Mountain Regional Director. Hansen noted that he’s been given amazing opportunities that he otherwise may not have had if he hadn’t been willing to step forward and serve. He said the highlight of his experience came in 2007, when he got a call from the U.S. Treasury Department to serve on the Advisory Committee to the Auditing Profession. NASBA looks forward to a successful and visionary year under Hansen’s leadership. Below is a video of Hansen’s speech during the inaugural luncheon.